Campaign contributions matter for access and agenda-shaping. Research shows that campaign contributions from businesses can lead to lower corporate taxes. A study of the telecommunications industry finds that political spending leads to less stringent regulation. Recently, Christopher Witko finds that campaign donors are more likely to get a government contract. In a recent field experiment, donors were more likely to obtain a meeting with a Congress member. Campaign contributions and lobbying, then, not only influence whether a policy is enacted -- but whether that policy is even considered. As Adam Lioz notes in the case studies he discusses in the Demos report, “When elected officials are dependent on corporate donors to fund their campaigns, business interests enjoy disproportionate sway over the policymaking process.” One case study is the private prison industry, which has benefited enormously from the incarceration boom. Between 1990 and 2009, the number of inmates housed in private prisons increased 17-fold (the number held in government prisons doubled). Investigative reporter Lee Fang has extensively documented how private prisons have taken over immigration detention and lobbied extensively for stricter immigration enforcement. The largest private prisons have spent millions lobbying at the federal and state level, particularly in periods during which immigration laws were under consideration. Lioz also links money in politics to predatory lending, which disproportionately impacted people of color and was left loosely regulated because of powerful monied interests. 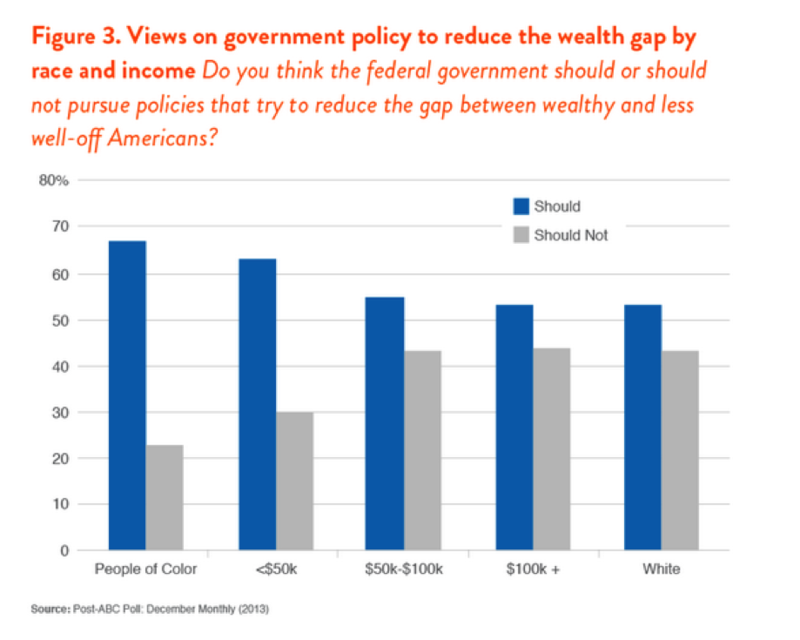 Without significant reform, the rich will gain a stranglehold on our political system. Recent developments, however, suggest that America is going in the opposition direction -- from adopting proposals straight from Citigroup lobbyists to the attempt to increase the cap on donations to political parties 10 times its current limit. Over the long term, Citizens United and McCutcheon need to be overturned, but with the current composition of the court this is unlikely. There are still reforms that can be made. Congress should pass the Disclose Act to stop the flood of dark money. Lobbying regulations have been shown to increase political equality. 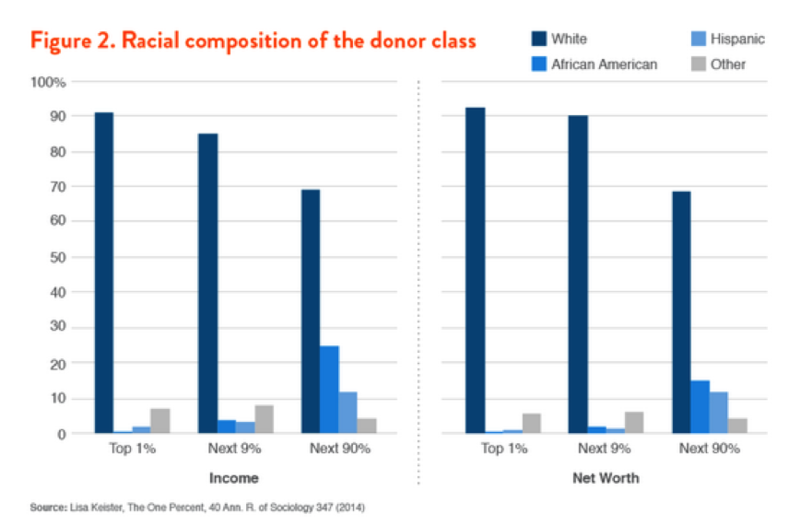 Public financing increases donor diversity and reduces the time candidates have to spend with big money donors. 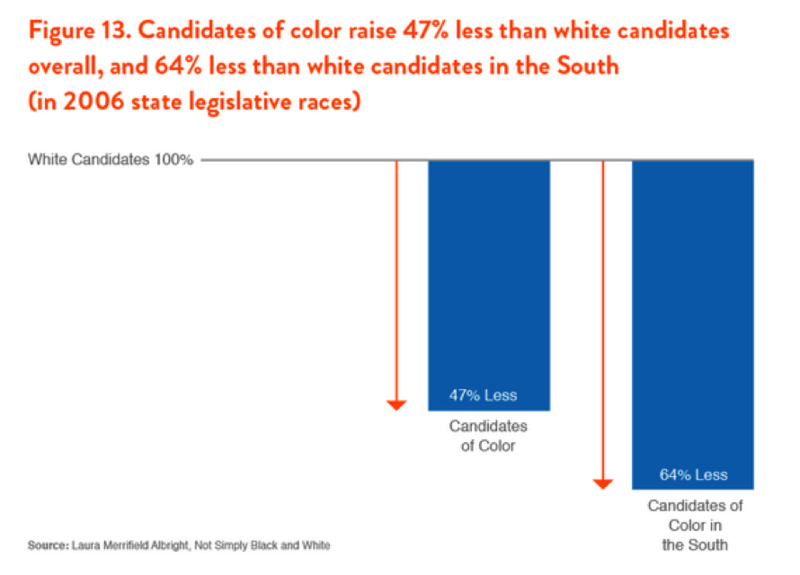 National parties should do more to recruit candidates of color and working-class candidates. Same-day registration would increase turnout among the poor and people of color, which research shows would combat the big money bias in our political system. The tough part about getting these reforms passed: They have to be passed by politicians who are already bought and paid for.